Michel Schellekens (PhD CMU) is an associate professor at the department of Computer Science of University College Cork. 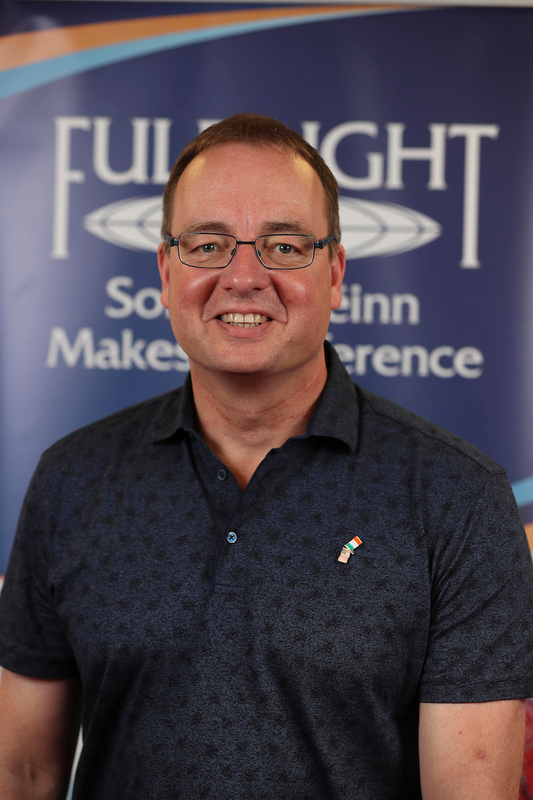 As a Fulbright Scholar, he will undertake research into algorithmic design automation at Stanford in collaboration with Stanfords Computer Science theory group (research host: Don Knuth). This work aims to lay groundwork for an “expert-in-a-box assisting with automated software development. Michel manages the Legacy Project “Conversations on George Boole (UCC Impact Award, 2016) including interviews with experts at Berkeley, MIT, Stanford and NASAs Kennedy Space Centre on the legacy of George Boole, UCCs first mathematics professor, inventor of Boolean Algebra. Michel directed the research center CEOL as a twofold SFI-PI (2003 – 2014). He is a DAAD and Marie Curie Fellow alumni and author of a Springer book on algorithm analysis. Michel is involved in the Irish storytelling tradition and promotes science to adults and children through storytelling.